If you live in a state where the weather gets cold, roof ventilation allows cold air to circulate through the attic, which keeps roof snow to melt into the gutters and freeze again. That’s called ice-damming, and it can send water from the ice-dammed gutters under the shingles causing water damage. 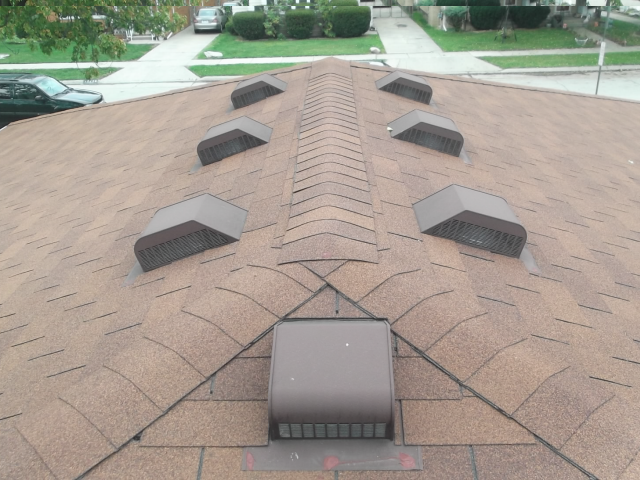 Proper roof ventilation can actually save you a fortune in repairs. 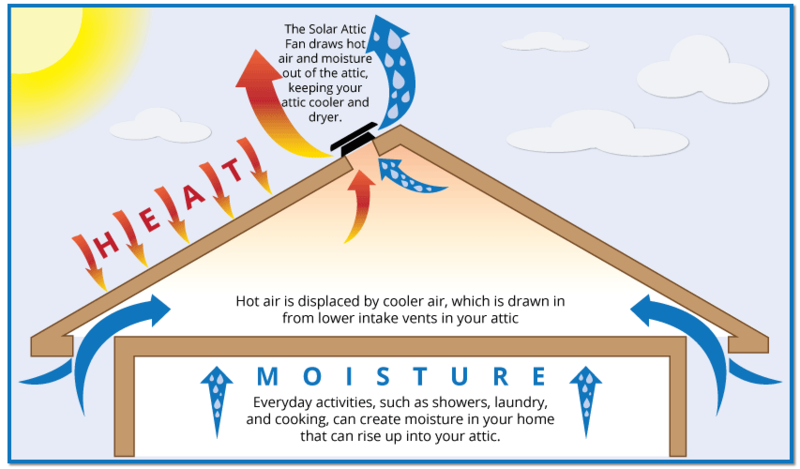 Heat rises—so when the weather is hot, roof ventilation causes hot air to flow out of the attic, which means a cooler home and lower electric bills. Since heat damages shingles, making them brittle, roof ventilation actually prolongs the life of your roof, not to mention it keeps moisture out and prevents mold and rot. What are the most common air vents? 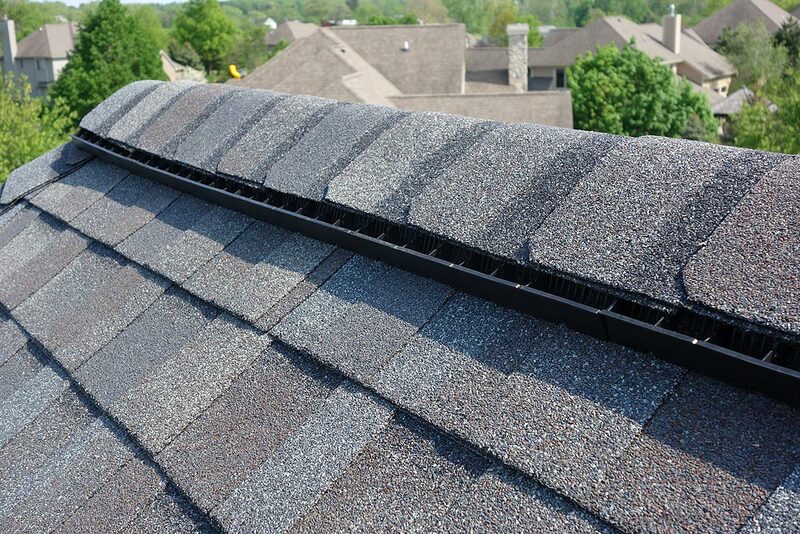 A ridge vent goes along the length of a roof’s peak; it provides even ventilation, maximizes air flow, and can handle both wind and extreme temperatures. 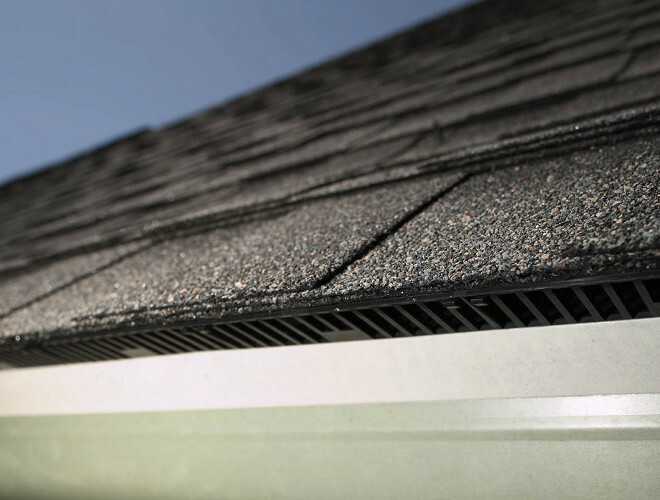 Intake vents can be found under the overhang of a roof eave; air from the soffit circulates to the intake vents drawing heat and moisture away from the house. Foundation vents contain a low-speed fan that runs quietly when humidity is high; they remove moisture that can lead to rot or mold. 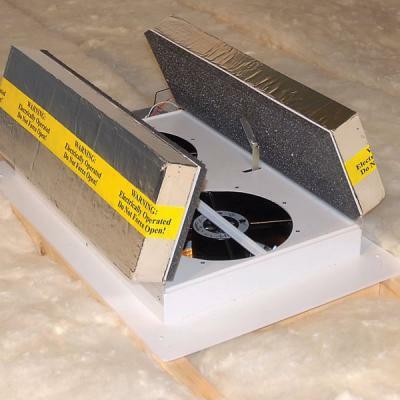 Static vents use air pressure and wind to allow air to flow out of the attic year-round and are very cost efficient. Whole-house fans are often installed in a hallway, and blow hot air from stoves, ovens and cramped spaces out of the home. Let’s face it—every home doesn’t have the same size, style, layout, attic space, or challenges with temperature and moisture; why would it need identical roof ventilation? 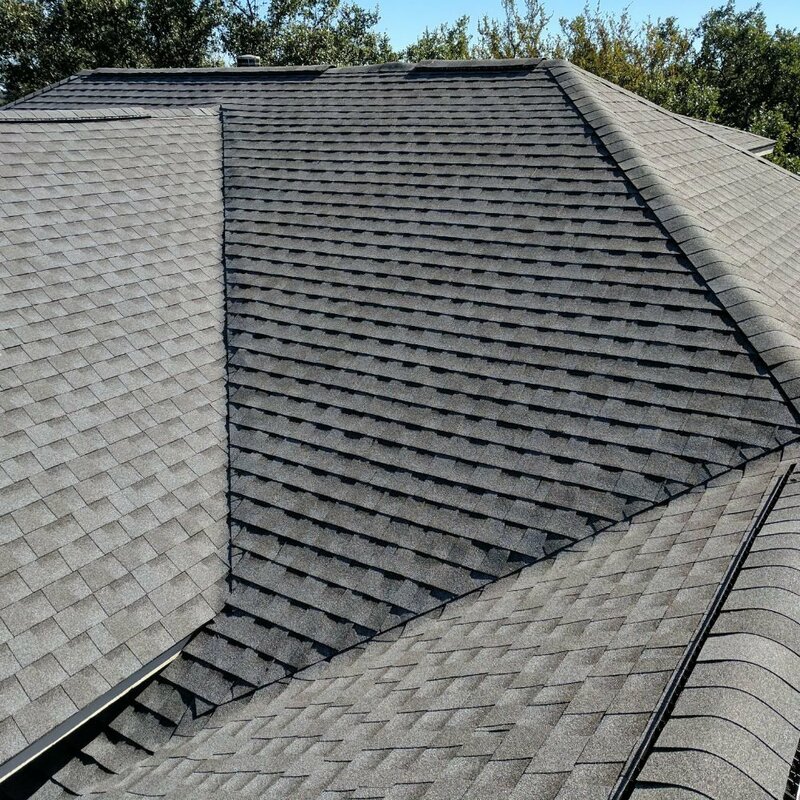 Ridge Top Exteriors is an award-winning roofing contractor, and can help you figure out what roof ventilation options are right for your particular home. Best of all, we offer FREE roof inspections and no-obligation estimates, so call us today!